How to recover your Gmail id and password? here we will show you the complete step by step procedure to recover your Google account. This tutorial can help you to recover the Google Email Id and reset password, if you forgot your Email id only then also you can find your Email using the below method and also if your forgot your Gmail Password then also can reset the password and create a new password. This topic will also help the users who forgot both Google Email Id and Gmail Password. To recover your Google account you need to follow some recovery steps provided by the Google and it will ask some security questions and other details you have given at the time of creating Google Account, the below are some basic requirements you may be asked fro Account recovery, you must have any one or some of these below personal details or you can visit Account Recovery - Google Accounts. Your Phone Number or Recovery Email Id. Your First Name and Last Name (The name should be same with name you given at the time of sign up process for Google Account or Gmail Account). When you created your account. Your last password you remember. 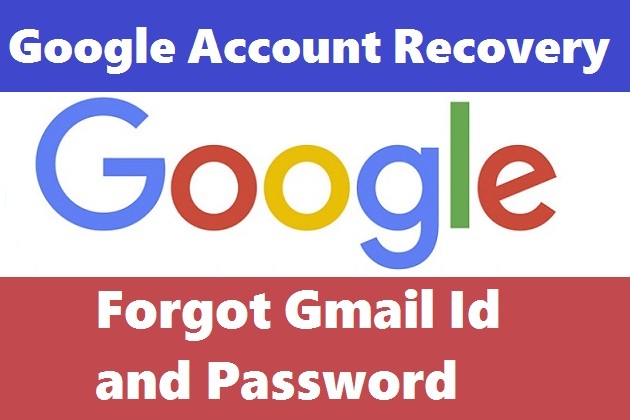 Visit the link Google Accounts Recovery and follow the below steps to recover you both Gmail id and Password. If you forgot your Email Id or Mobile Number - Click on Forgot email? Now you will see a new page Find you Email using phone number or recovery email, for example enter the phone number you have given at the time sign up for Google Account or Gmail Account. Now it will ask to Your Name, which you have given at the time of creating Google account. Enter your First Name and Last Name and Click on Next. Now you will Get a verification code on your mobile phone, to send verification code click on SEND. Now enter the verification code you have received on your phone and click NEXT. Now you will see your Google Account associated with the mobile number, click on that Email id to move forward to recover your Google Account or Gmail Account. Now it will ask to enter your Password, if you remember your password then enter it here and now you have successfully recover your Google Account. If you forgot your Google Account Password then click on Forgot Password and click Next to move further option. Now it will ask you enter your last password you remember using with this Google Account, enter any password and click on NEXT. Now it will ask to enter he phone number and click on SEND, to get a verification code, first confirm the phone number you added to your account. Now you will receive a verification code on the phone, just enter the code and reset your Google Account Password. If do not have the phone or number, then click on I don't have my phone. Now it will ask to Enter a backup code you have created in your Google Account. If you do not have or forgot your Google Account backup code, then click on Try another way. When you click on Try another way it will show another option to get back your Google account password. After click on Try another way it will show you another option such as Enter your phone number, When you created your account, Enter your Recovery Email Id enter the details you remember then you can reset your Google Account Password. If you forgot your Google Account details or Gmail id and password and when you hard reset the Android smartphone, it will ask to enter your Gmail id and password sync with the phone before and the phone became Factory Reset Protection or FRP locked. So after recovering your Google account you can enter the Gmail id and password to unlock the phone. If you still facing problem to find your Google Account and password then please visit the below official support sites of Google.